“The 9th edition of the Germán Bernácer Prize has been awarded to Prof. Emmanuel Farhi (Harvard University) for his relevant contributions to the design of optimal taxation in business cycle models with incomplete markets, and for improving our understanding of the macroeconomic mechanisms that underlie the relationships among global imbalances, financial crashes, speculative growth episodes and real activity”. Emmanuel Farhi (France) is a Professor of Economics at Harvard University. His research focuses on macroeconomics, finance, international economics, and public finance. He is a member of the Commission Economique de la Nation, a research associate at the National Bureau of Economic Research and at the Center for Economic Policy Research. He is a former member of the Conseil d'Analyse Economique to the French prime minister. He received his Bachelor degree in Economics and Mathematics from the Ecole Normale Supérieure (Paris) and in 2006 he got his PhD in Economics at Massachusetts Institute of Technology (MIT). 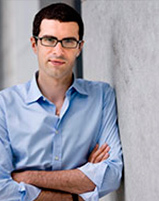 In 2014, he was named one of the 25 best economists under 45 by the IMF. In 2013 he was awarded with the Best Young French Economist under 40 Prize and the Banque de France and Toulouse School of Economics Macroeconomics and Finance Prize. He has published widely cited papers in leading journals like American Economic Review, the Journal of Political Economy, the Quarterly Journal of Economics, Econometrica, the Review of Economic Studies and the Journal of Financial Economics. The award ceremony took place in Madrid on June 2nd, 2010.